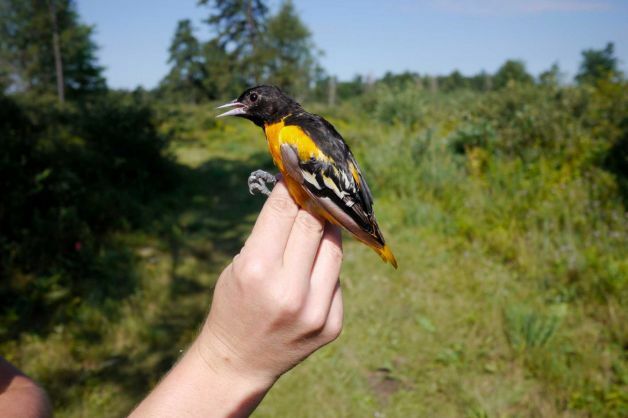 Join Amanda Dillon, Field Ecologist for the Albany Pine Bush Preserve, for a discussion of bird banding and bird survey research efforts at the Preserve. The Albany Pine Bush protects an inland pitch pine-scrub oak barrens ecosystem that is home to 76 NY Species of Greatest Conservation Need, including 43 species of birds. The rarity and diversity of species, together with the high quality habitat, has earned the Preserve designations as an Audubon Important Birding Area and a NYS-DEC Bird Conservation Area. The Preserve conducts bird surveys and runs multiple bird banding stations, and the resulting data guide restoration and management efforts. Co-sponsored with Southern Adirondack Audubon. No registration required.